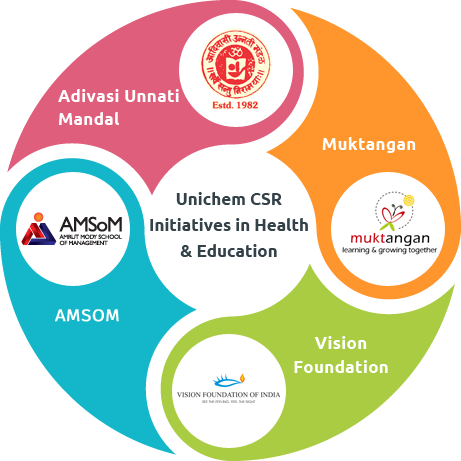 Unichem has engaged in Corporate Social Responsibility [CSR] activities for decades and much before the same became a mandatory responsibility of Corporates.Unichem being a pharmaceutical company is naturally inclined to improve the health of general public at large and the Company is well known for its Quality and Reliability over the years. Health and Education of economically backward communities have always been prioritized by Unichem. The above mentioned CSR initiatives focus on recognized activities mentioned in Schedule VII of the Companies Act, 2013, as amended from time to time. The Company would undertake other need based activities in compliance with Scheduled VII of the Companies Act, 2013. (iii) To Monitor the Corporate Social Responsibility Policy of the company from time to time. The approved CSR programme will be monitored and implemented by CSR Committee with the assistance of designated Senior Executives of the Company. Once in six months or at such intervals as desired by the CSR committee, the above CSR activities will be reviewed and monitored by the Committee and a report on the CSR activities undertaken shall be placed before the Board by the CSR Committee. The CSR Policy shall be periodically reviewed and appropriately revised by the CSR Committee. Minimum of two (2%) of the Average Net Profit (before tax) of the preceding three years will be allocated every financial year for CSR activities. Any reasons for non spending of the amount allocated to CSR shall be explained in the Report to the Shareholders. Any unspent/unutilized CSR allocation of a particular financial year, may, at the joint discretion of the CSR Committee and the Board of Directors of the Company be carried forward to the following year. This Policy has been amended, approved and adopted by the Board of Directors at their meeting held on March 31, 2018 . 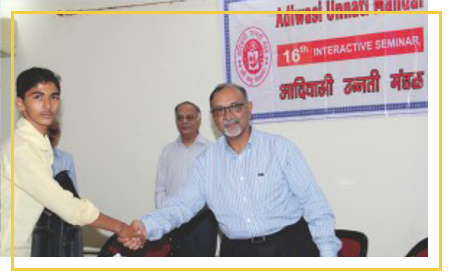 The Adiwasi Unnati Mandal (AUM) was founded by the late Dr. Prakash A.Mody along with co-founder, the late Mr. Shantibhai Sheth. Unichem’s Chairman and Managing Director, Dr.Prakash. A Mody, is a trustee at AUM and has carried over his father’s legacy to achieve the mission of AUM, which caters to various needs of the Adiwasi population at Shahpur Taluke in Thane District. AUM has a strong and dedicated team of doctors and paramedic staff. AUM has its own “Amrutshanti Community and Health Centre” at Taki in Shahpur Taluka, where it caters mainly to medical needs of the Adiwasi population. Unichem has been the chief donor at AMSoM, which is promoted by the Ahmedabad Education Society. During 2015-16, as a part of CSR activities, Unichem has contributed a sum of Rs. 200 lakhs in memory of late Mr. Amrut Mody. The total contribution of the company towards this institute is Rs.1,500 lakh, spread over the last five years. Mr. Amrut Mody was instrumental in supporting a number of educational institutions during his lifetime. 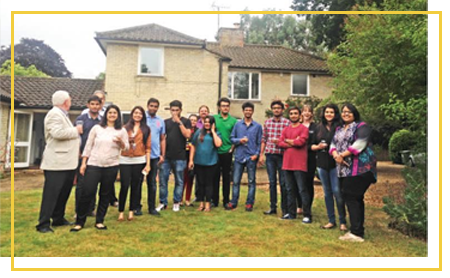 The main aim of AMSoM is to provide global education at low cost, context and ethos. The faculty and students of the university are deeply involved in community work as part of personality building exercise. The funds contributed by Unichem were primarily used to upgrade the facilities and meet the development costs associated with international collaborations. During the year 2015-2016, Unichem’s financial support helped meet the collaboration costs of the institute with the Judge Business School, Cambridge University for the EMBA program. The remaining funds were deployed to upgrade facilities in AMSoM classrooms, library and for procurement of audio/video equipment, etc. Vision Foundation of India is a non-profitable and non-government charitable institution established in the year 1993 and registered under The Bombay Public Trust Act, 1950. 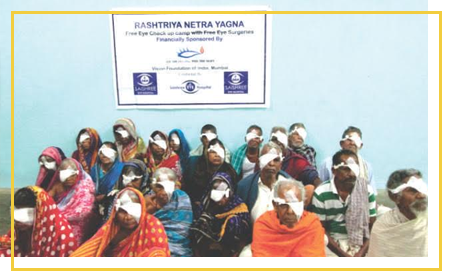 It is committed to transform lives by providing eye care services to the poor through their project “Rashtriya Netra Yagna”. The primary objective of the project is to eradicate blindness and eye disease. Vision Foundation of India offers free eye care facilities to the underprivileged through state-of-the-art infrastructure and instruments. The Foundation believes that lack of money should never be the reason for vision impairment. Unichem, as a part of its CSR activities, has contributed a sum of 25 lakhs to this foundation during the financial year 2015-2016. With the funds contributed by Unichem, Vision Foundation of India organized free eye check-up camps through its associate hospitals in the states of Andhra Pradesh, Karnataka, Odisha and Uttar Pradesh and reached 12,787 patients in rural, tribal and slum areas. Over 1,000 patients in these areas were benefitted through cataract surgeries. All these patients were operated free of cost by the associate hospitals. The Muktangan initiative of Paragon Charitable Trust is a new model of education providing quality, child-centred, inclusive, English medium schooling to thousands of underprivileged children in Mumbai. Muktangan works in close partnership with the municipal corporation of Greater Mumbai and a number of NGOs across India. A fund of 25 lakhs provided by Unichem has been utilized for running the Muktangan Sayani MPS Middle School at Mumbai during the academic year 2015-2016. Unichem’s support has been crucial to upkeep the livelihood of 22 community teachers and education of 124 children between 5th and 8th standards at Sayani MPS Middle School. Between June 2015 to April 2016, students were provided quality education in an inclusive school environment comprising five and a half day school week. The medium of instruction was English and the teachers used Muktangan’s active constructive methodology to teach State Government’s prescribed syllabus. The programme also catered to six students with special needs. 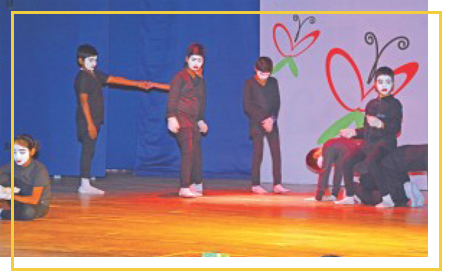 Muktangan’s annual dance and drama programme where students from 5th to 7th standard performed on stage. Students from 1st to 8th standard picked a project from their textbooks and built project models around the topic for display on Project Day at their schools. At the end of the academic year, students, parents and teachers organised a year-end show of music and dance to celebrate the close of another successful academic year. In an attempt to provide students at Muktangan with 21st century skill sets, they were introduced to an intensive Information and Communications Technology (ICT) programme Computer Masti, which trains students in computer skills. During the academic year, as part of their syllabus, 8th standard students created their own digital stories.